I suddenly remembered that I hadn’t put my daughter’s camera case together. It only took a couple of hours. I traced around the camera and measured the width at the widest point. In making a pattern, you have to add in seam allowances on each piece and some more for the thickest of the actual pieces. So you need to decide what you are going to make it out of before you draw the pattern. 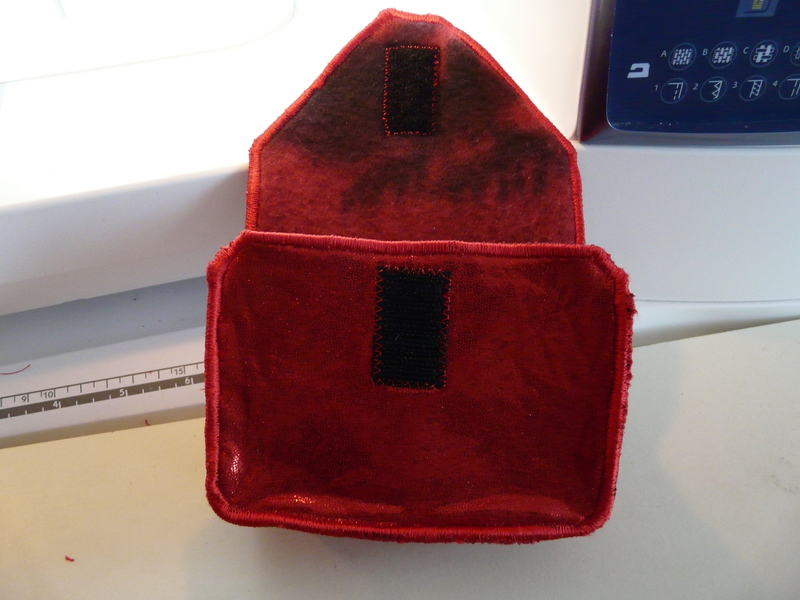 Before sewing the pieces together, I put a 2mm satin stitch around each part to hold them together. I used adhesive spray to hold the pieces together. Be certain all pieces match up. You may have to trim and sew it again. 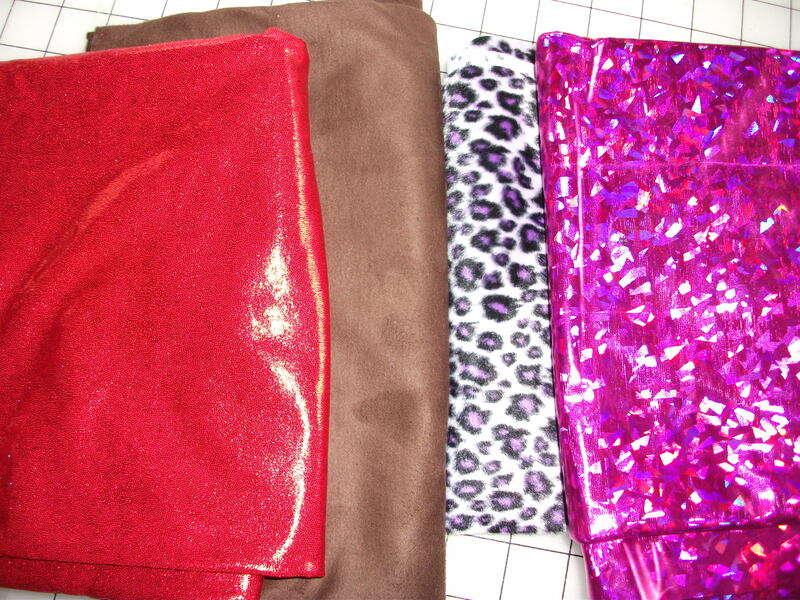 It consists of the orange, red or purple sparkly stuff, two pieces of heavy interfacing and a fuzzy knit or fleece for the lining. 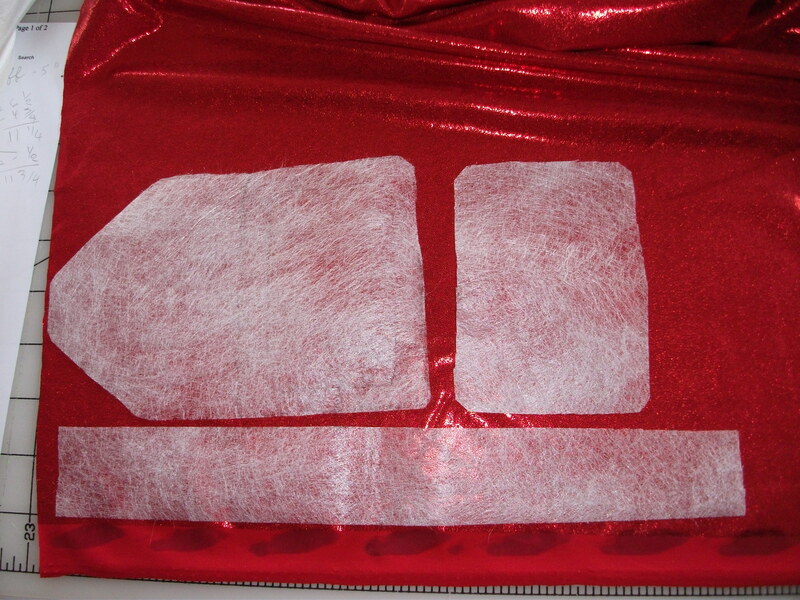 I changed the satin stitch width to 4mm to sew the pieces together. 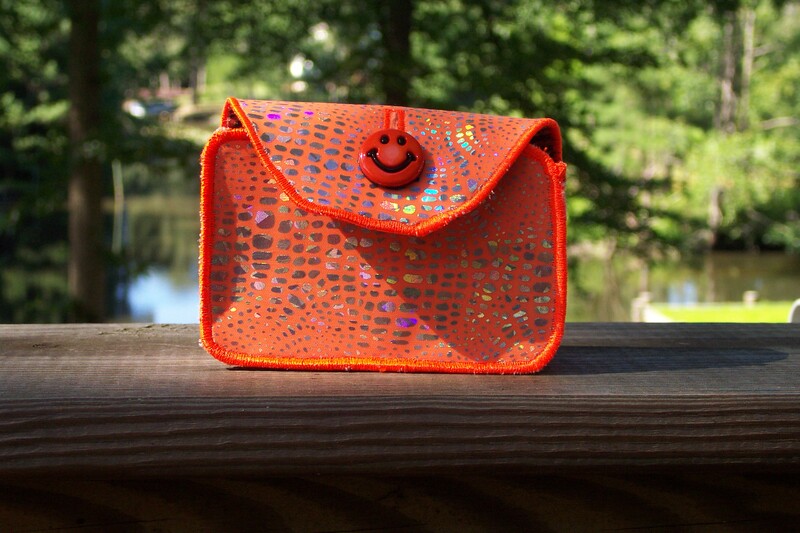 On the final seam, I used embroidery thread in the top and bottom for extra shine. Sewing in the gusset was not easy. Instead of starting at one end and sewing around, I started along the bottom. I matched the mid point of the gusset with the center back. 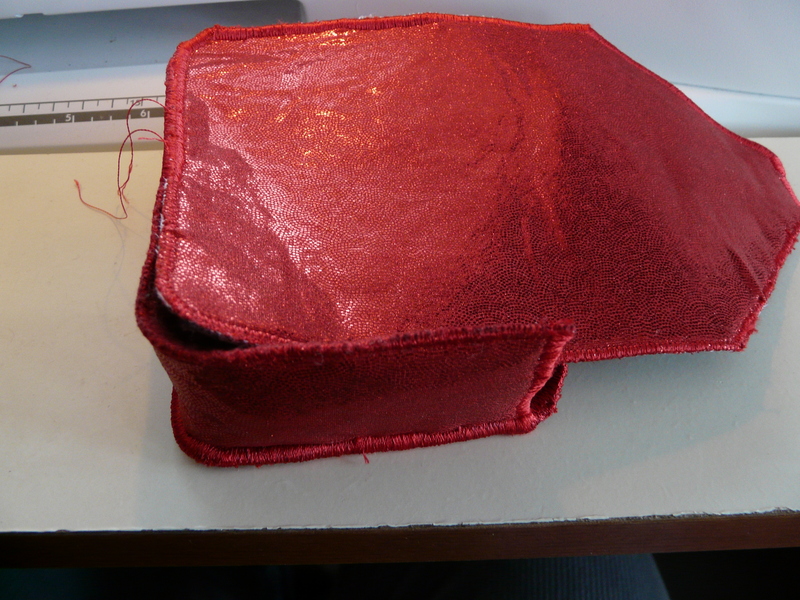 I sewed the bottom, around the curve and up the side past the gusset to secure it. Then I started about one half inch over the previous stitching and repeated. 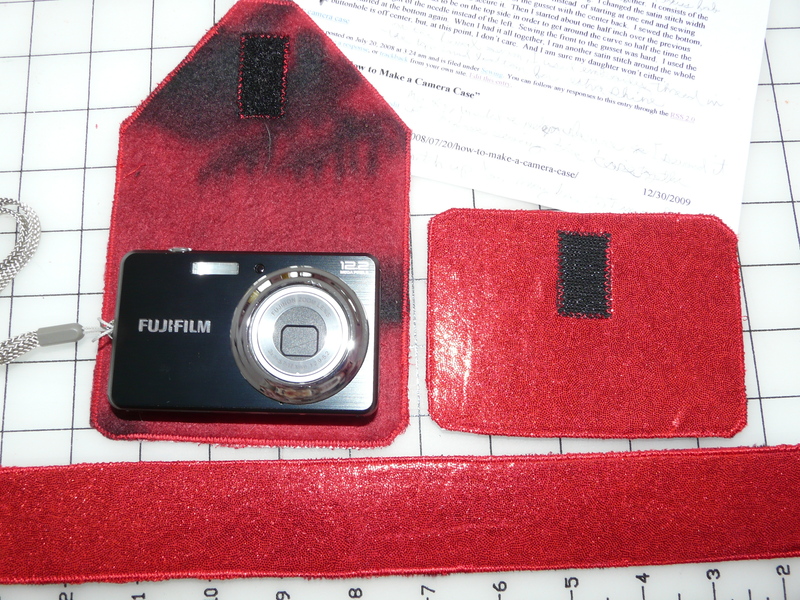 The gusset needs to be on the top side in order to get around the curve so half the time the camera case will be at the right of the needle instead of the left. Sewing the front to the gusset was hard. I used the same method and started at the bottom again. When I had it all together, I ran another satin stitch around the whole thing. The buttonhole is off center, but, at this point, I don’t care. And I am sure my daughter won’t either. 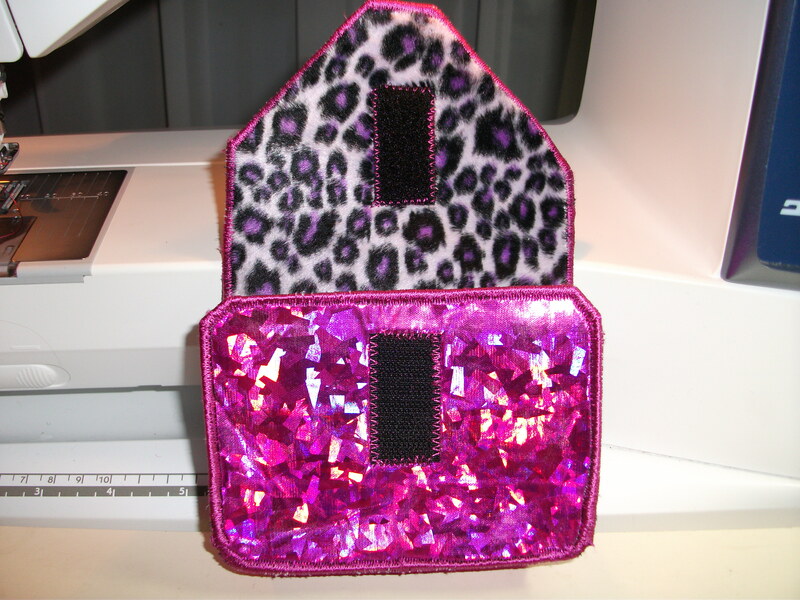 My son wanted a velcro closure so I sewed the pieces on before sewing the case together.